I have always believed that there is a power to the wilderness. The way the birds chatter and the wind rustles the trees-it gives you pause, it makes you listen and, most of all, it makes you present. With such potential right outside my window, it still baffles me that I am in an office most of the week, banging away at the keyboard, trying to express these feelings to the next group of parents and students, convincing them that going Outward Bound can change their lives. One of my favorite parts of my job is receiving the course-end paperwork from students. Piles of paper come to my desk from students, just off course, who have taken the time to write a letter to one of our donors who’ve helped get them on course by providing a scholarship. While time consuming, the task sometimes allows me to get away from my desk (maybe go outside), and read. It is in these letters that I find solace in what I do. These letters are thankful, sweet, sometimes even funny and, in many cases, they are total tear-jerkers. Yesterday was one of those box of tissue days. While scanning through the towering pile of paperwork that I’d been pushing further and further along my desk, I noticed a few letters to sponsors from our Unity Program students. The Unity Program operates in Charlotte, NC in partnership with Charlotte Mecklenburg Schools. A group of students from each school is selected to represent the diversity of their community. 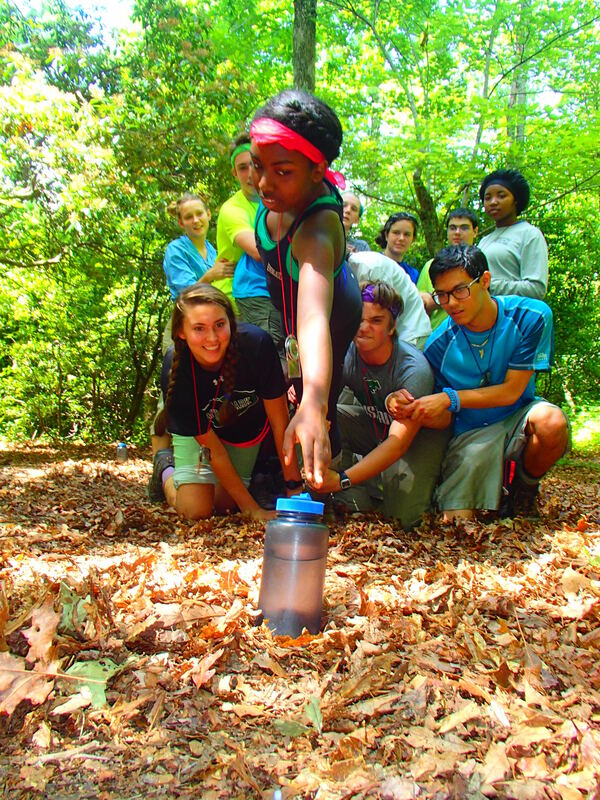 These students then embark on an Outward Bound wilderness expedition designed to give them a place to assert their common humanity, develop courage and compassion as leaders, establish a democratic forum within which to discuss challenging issues, and create a model community within their crew. Upon returning home, the group forms a club to implement projects that address key issues within their communities. To me, this all seems like a pretty miraculous feat, especially for teenagers. At that age I was worried about my next volleyball match, my new outfit and what the boy in my English class thought of me. However, after reading the letters from this Unity crew, I was reminded of the powerful work we do at Outward Bound, (even from behind a desk) and the great pride and faith we should have in this new generation of leaders.